I have recently completed a Ph.D. in computational physics simulating the ordering and diffusion of hydrogen atoms in palladium metal. This involves writing and running Monte-Carlo simulations -- programs that simulate physical processes using very large numbers of pseudo-random events. These may be computationally rather intensive taking hours or days of run-time on a fast computer. As part of this I have computed virtual diffraction patterns from atomistic models of H in Pd, see C3 of thesis. 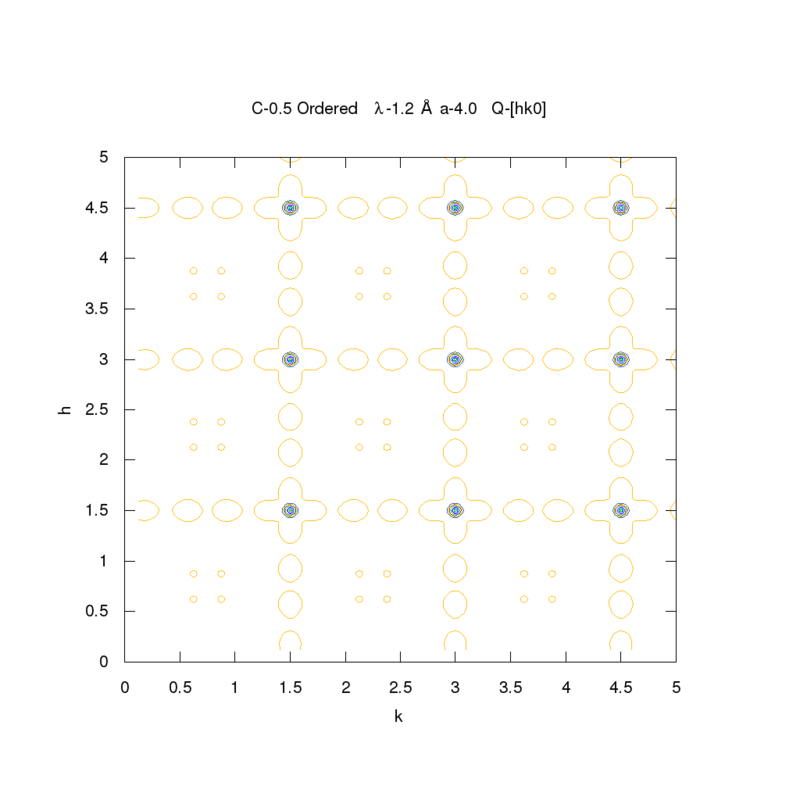 Here 3d diffraction patterns were simulated directly from atomic positions permitting simulation of patterns generated by very short-range order i.e. crystalline regions only a few atoms in size or with partial ordering. By applying William Friedman's 'Index of Coincidence' cryptoanalysis technique I have developed a interesting method to test for pseudo-periodicity in long strings of values from random number generators. This is computationally efficient scaling with N - the number of values rather than as some power of N. It has been tested successfully on strings of 1012 integer values on a home P.C. I must write this up at some point. 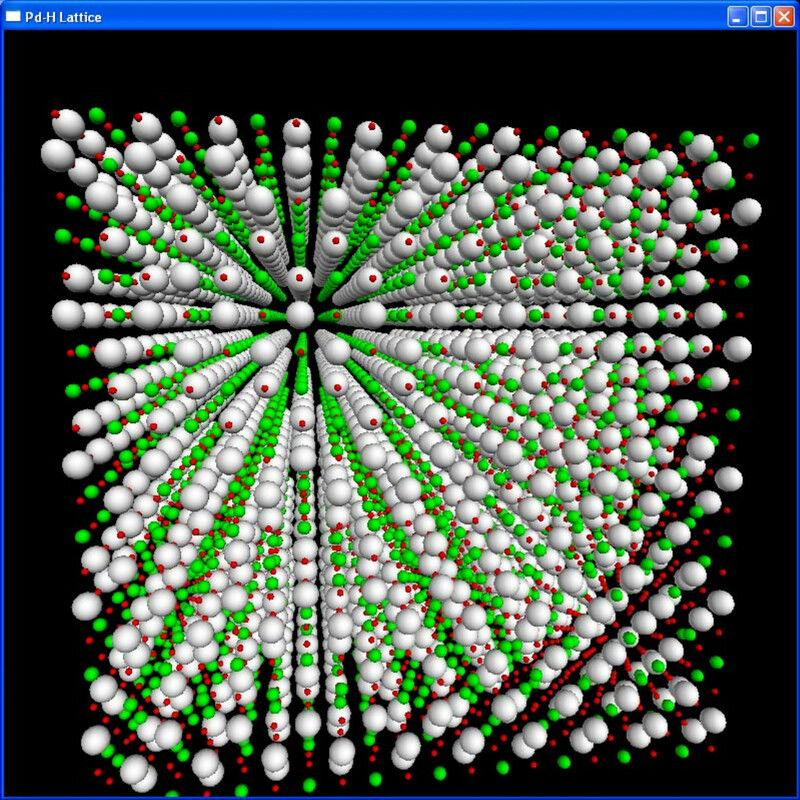 I am presently developing virtual diffraction software to compute diffraction patterns from atomistic models i.e. directly from atomic positions rather than from an a priori known structure. This technique has been shown to successfully generate diffractograms from short-range nano structures such as the weak I41/amd structure seen in neutron diffraction studies of hydrogen isotopes in palladium. Current work involves rewritting code to take advantage of the parallel processing capabilities of CUDA enabled graphics cards.